The Residence Inn is one mile from the airport. Shopaholics can't get enough of Dolphin Mall (eight miles away) and the Miracle Mile in scenic Coral Gables, three miles from the hotel. Bayside Marketplace and the downtown waterfront are a five-mile drive. The sandy beaches and snazzy nightlife of South Beach are an eight-mile jaunt. All 163 spacious guest suites at this six-story hotel offer the convenience of fully equipped kitchens with stovetops, ovens, microwaves, refrigerators, coffeemakers, dishwashers, cookware, dishware and silverware. 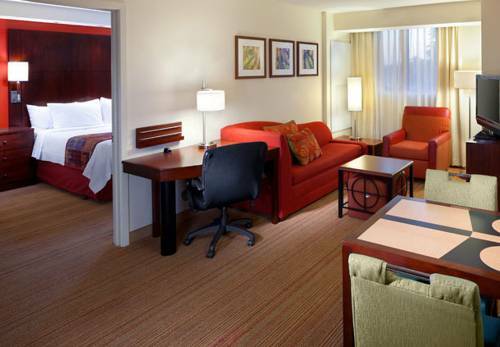 Accommodations also have sitting areas and work desks. If you're someone who can't go without the trusty Web, you'll be happy to know that Wi-Fi and wired internet are free of charge. Premium cable TV is also featured in the rooms. 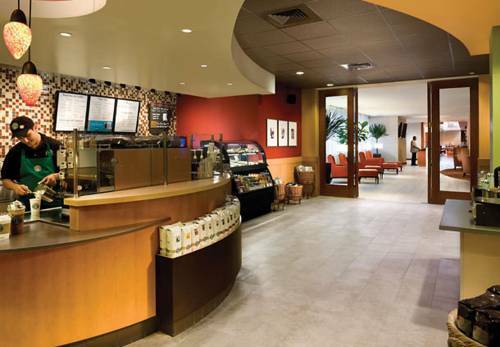 The hotel's complimentary hot breakfast buffet features eggs, bacon or sausage, bagels, breakfast breads, fruit, yogurt, cereals, coffee, tea, juice and more. The adjacent Marriott has a Latin restaurant and a sports bar/grill that serves lunch and dinner. A bathing suit is a must for a trip to Miami, and the hotel gives you reason to wear it with its outdoor swimming pool. Packing workout clothes wouldn't hurt either: the hotel has its own fitness center on-site. Parking at the hotel is free of charge, as is the airport shuttle. 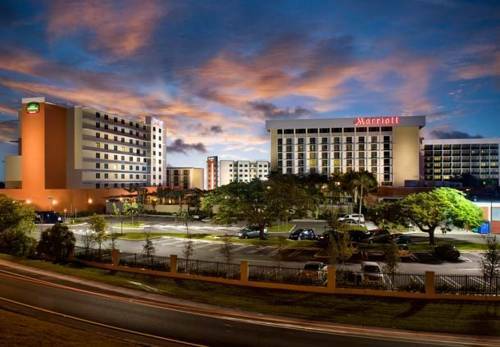 The Residence Inn Miami Airport has the power of a free hot breakfast and spacious suites with kitchens to please Priceline guests.